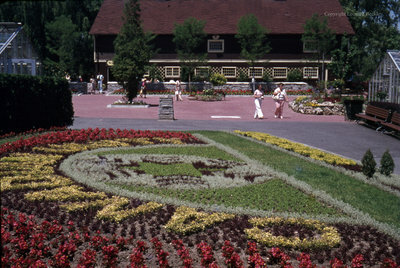 A colour slide of a large floral garden at Edward Gardens in Toronto, Ontario. In the background is a large two storey brown building. There is a greenhouse on the left and right of the photograph. Edward Gardens, July 1978, Leonard Beckley. Whitby Archives A2014_004_094.